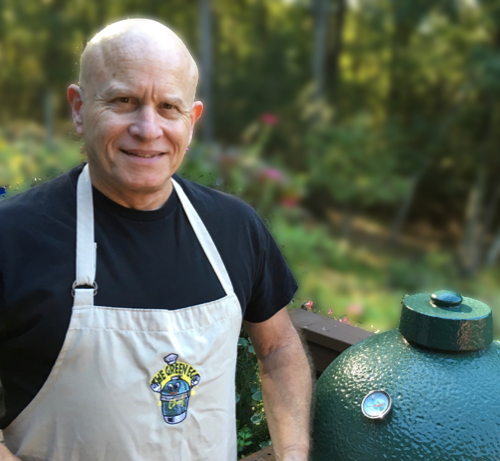 Want to learn how to grill super tender, juicy, exquisitely flavored chicken breasts in five minutes or less? Then, here’s a method you should try. This technique should be in every Green Egger’s cooking toolbox. To start, you’ll need to get your Egg up to a high temp, about 450°, and transform the whole breast into a cutlet (which is easy to do as you’ll see when you click on the picture of the cutlet below). The other part of the prep you can speed up is the pre-cook marinating. This method calls for not marinating the cutlets, but just coating them with a special marinating sauce before putting the chicken on the grate. 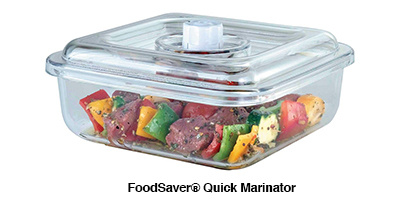 Note: If you do want to marinate a little longer so the flavors penetrate the meat more deeply, you can use the Foodsaver and their marinator container . This is my go-to method when I want decent marinade flavor fast. It cuts the process down from an hour or two to 15 minutes — the same time it takes to heat up your Egg.